The Blue Tubes Effects Pack is a collection of six vintage-style plug-ins that are a must-have for your sonic toolkit. Featuring staples like delay, chorus, valve overdrive, phaser, stereo imager, and an oilcan echo, the sound quality of Blue Tubes is nothing short of amazing. 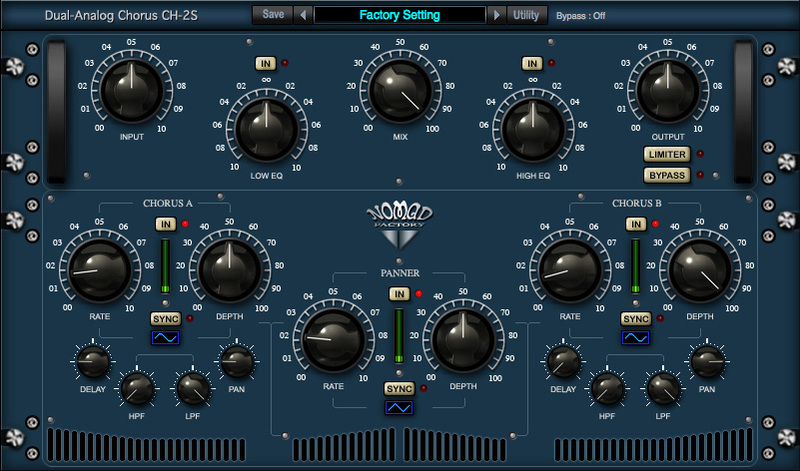 Yet all six plug-ins provide a simple and functional “vintage-style” interface, as well as very low CPU consumption for lightening-fast processing. The Blue Tubes Dynamics Pack has been totally redesigned in order to offer even more great features enhancing your digital sound recordings. The BT Stereo Imager ST2S provides precise control over the width of the stereo field. This graphically striking device enables you to “visualize” the width of the stereo sound stage. Some stereo tracks may require special treatment in terms of stereo width. The Stereo Imager gives you a simple way to manipulate the spread of the stereo tracks while receiving visual feedback on your changes. The BT Vintage Oilcan Echo TLE2S delivers the classic analog sound of a tape less oilcan echo/delay. This model adds “Color” to your music by providing various echo/delay styles from specific time periods, namely 1964, 1977, 1989, and 1995. These styles, along with the other various controls on the TLE2S, give you a wide range of time-based effects to add to your recordings.